Offering you a complete choice of products which include food supplement jar, pet jar, supplement jars, protein supplement jar and supplement jar. Leveraging on our vast industrial experience in this domain, we are devotedly engaged in offering an extensive array of Food Supplement Jar. This Food Supplement Jar is accessible in multitude of sizes, shapes & customized options in accordance with the needs of customers. 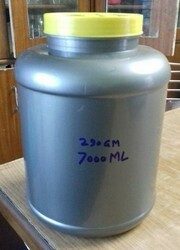 The offered Food Supplement Jar is comes in quality packing in order to ensure its defect free range while transit. We have wide range for Protein supplement jar . 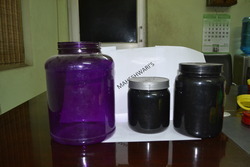 We are making Jar from Food grade Pet Resin. Jar are durabe with best finish. 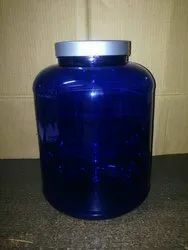 eeping track with the market advancement, we are occupied in offering an extensive range of Supplement Jar. Primarily used in food and beverage industries, these offered supplement jars are uniquely designed in compliance with set quality standards utilizing optimum quality material and latest technology. For 2.5 to 3 kg Protien powder. Food grade plastic. 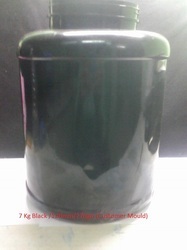 Keeping track with the market advancement, we are occupied in offering an extensive range of Supplement Jar. Primarily used in food and beverage industries, these offered supplement jars are uniquely designed in compliance with set quality standards utilizing optimum quality material and latest technology. We offer these supplement jars in diverse sizes and specifications, in fulfillment with the details specified by customers.